Stoptober or not Stoptober that is the question? The NHS is encouraging smokers to stop for October. Brilliant if you can stop for a month.But can you keep this going? The smoking habit itself, like any habit is under the control of your subconscious mind. This part runs on routines and thus hates change. The only way this part will change comfortably is to not only stop smoking but stop “being” a smoker. Find out why you smoke- ask yourself is it to relax, to concentrate, to socialize, or simply you enjoy a smoke. Possibly some other reason or a blend of these. 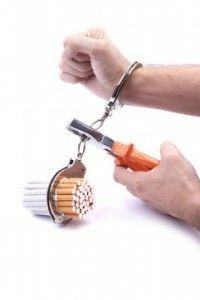 With the help of a skilled hypnotherapist you can have a completely different perspective on smoking so those reasons along with the desire to smoke no longer exist. There is no need to fear stopping and losing your identity. Think about this. You are never a smoker, just some-one who smokes cigarettes; it is the cigarettes that smoke. This means it is not part of you, but an external action. Hypnosis ends that fear and gives you confidence and pride to move towards a healthy outlook, for life. This entry was posted in happy smoker, how to quit smoking, how to quit smoking cigarettes and tagged cigarettes, habit, hypnosis, hypnotherapist, smoke, stop smoking, Stoptober on September 27, 2013 by Ivertherapy.